Serving the Tri-Valley Area for more than 39 years. "Palmer Graduate / Life West Graduate". Chiropractic care is more than just making the pain disappear. It's also about learning, understanding and taking care of your body to improve your quality of life. Our office is located in Dublin but we serve the Tri-Valley area which includes Pleasanton, San Ramon and Livermore. We specialize in dealing with back pain, neck pain, headaches, migraines, disk problems, auto accidents, sports injuries, shoulder/elbow/wrist pain and sciatica just to mention only a few of the more common complaints. At Miller Chiropractic Office, in addition to dealing with pain, we aim to educate our patients about Chiropractic and other natural solutions to common health problems in order to motivate you to take a more active and responsible role in restoring and maintaining your own health as well as the people around you. With over 40 years of experience. Established in Dublin, California since 1978. Graduates of Palmer College of Chiropractic (Iowa) and Life Chiropractic College West. Convenient location with easy access from all areas of the Tri-Valley. 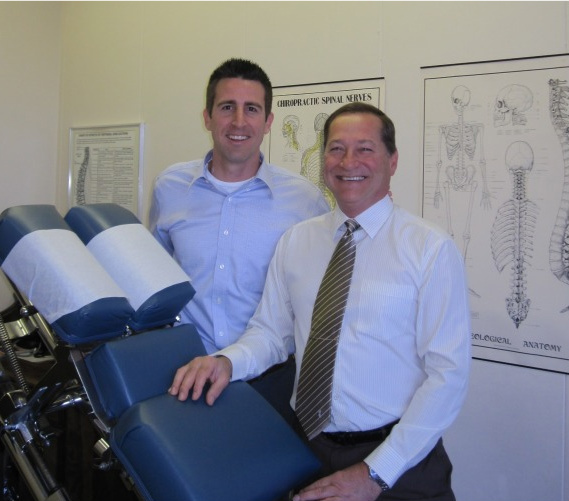 Specializing in Gonstead, Diversified, and Activator techniques performing full spine and extremity care/treatment. Our office works closely with many insurance companies, personal injury/accident cases, non-insured and cash paying patients. Spinal x-rays taken and processed on-site. Located at 7000 Village Parkway Suite H, Dublin, CA 94568.